We are very excited to introduce you to a special member of our school community. 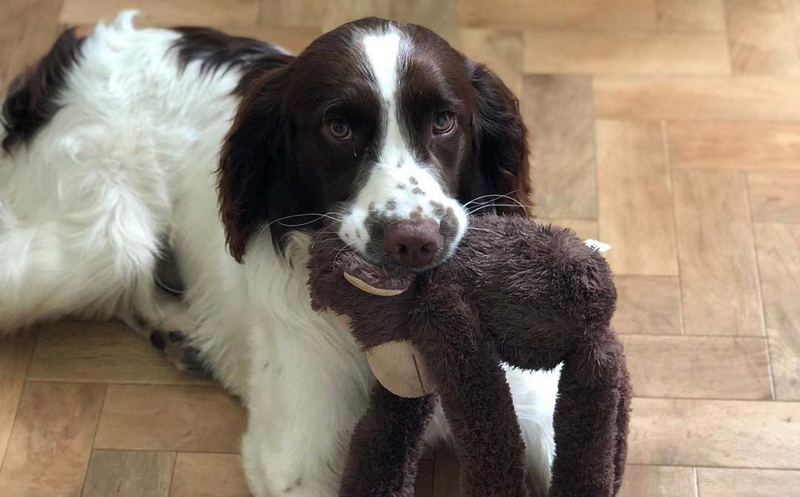 Buddy is an English Springer Spaniel. He has been trained by a specialist trainer and been selected due to his calm temperament and gentle nature. Below we have set out the benefits of a school dog, and have tried to address any concerns you may have. What are the benefits of having a school dog? Cognitive – companionship with a dog stimulates memory, problem-solving and game-playing. Social – a dog provides a positive mutual topic for discussion, encourages responsibility, wellbeing and focused interaction with others. Emotional – a school dog improves self-esteem, acceptance from others and lifts mood, often provoking laughter and fun. Dogs can also teach compassion and respect for other living things as well as relieving anxiety. Physical – interaction with a furry friend reduces blood pressure, provides tactile stimulation, assists with pain management, gives motivation to move, walk and stimulates the senses. Environmental – a dog in a school increases the sense of a family environment and community, with all of the above benefits continuing long after the school day is over. It is understandable that some of you may be concerned about possible allergic reactions to a school dog. However, Buddy will be subject to the most thorough cleanliness and grooming regime which we hope students will be part of. Students known to have allergic reactions to dogs must not go near the dog. Parents will need to advise us if their child does not desire contact with the dog for health reasons. The school will do its best to ensure that such students have no direct, school initiated contact with the dog. Will Buddy be properly cared for? Buddy will be extremely well looked after. He will live with a member of staff and his family and will come to school for normally 3 days a week. He will have some time to get used to the new environment of a school. He will, in time, work with students, but will always be accompanied by an adult. He has undergone rigorous training so will be extremely well-behaved. 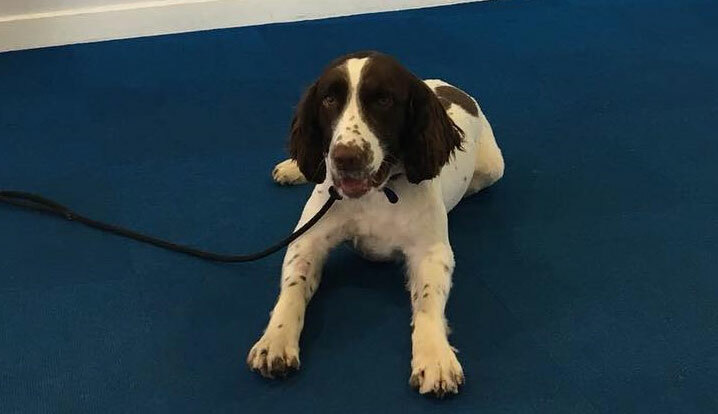 Whilst Buddy is in school he/she will have access to a dog crate in the office where he can take rest breaks during the day. Buddy will visit the vet regularly for all injections as well as regular check-ups. If Buddy is unwell for any reason he will stay at home. Some children may have had upsetting experiences and thus have a fear of dogs (or another animal). However, Buddy’s training has helped him to be calm and gentle around children. He is a very loving and gentle dog. Experience and research have shown that, with proper guidance and handling, children can learn to overcome their fear of animals and grow in respect and appreciation for them. Please be assured that we will never do this without your consent. We hope you will join us in welcoming Buddy to the Aylesford community and embrace all that he has to offer the school. More information about his progress will be shared in future newsletters and on our Facebook page. If you have any questions please feel free to contact us at the school.